This lens pouch is very soft and elastic, durable to hold and protect your lens. 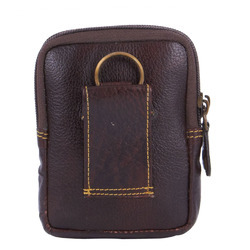 Our Leather Camera Pouches are made to delight all users who enjoy the feel and look of high quality leather products. Various styles, shapes and colors tones are available so that it is possible for all advertisers to find the Genuine Leather Camera Pouches to harmonize with all in house advertising needs. A stylish Quilted Corduroy Camera Bag for Compact Point & Shoot Cameras. Fix it in your belt, or hang it from the belt loop. Use it for your compact camera, mobile phone or music player the hands-free and hassle-free way, keeping them safe from bumps and scratches. To meet the needs and requirements of the patrons, we are offering a quality tested range of Fancy Camera Pouch. These pouches are made under the rigorous inspection of experts, who have years of understanding of this field. Owing to precise sizes and long-lasting nature, this pouch is broadly well-liked in the market. Our entity is providing an extensive series of Camera Lens Pouch. In addition, we present this series to our clientele in dissimilar patterns at affordable prices. Thoughtful range of travel accessories from VIP.